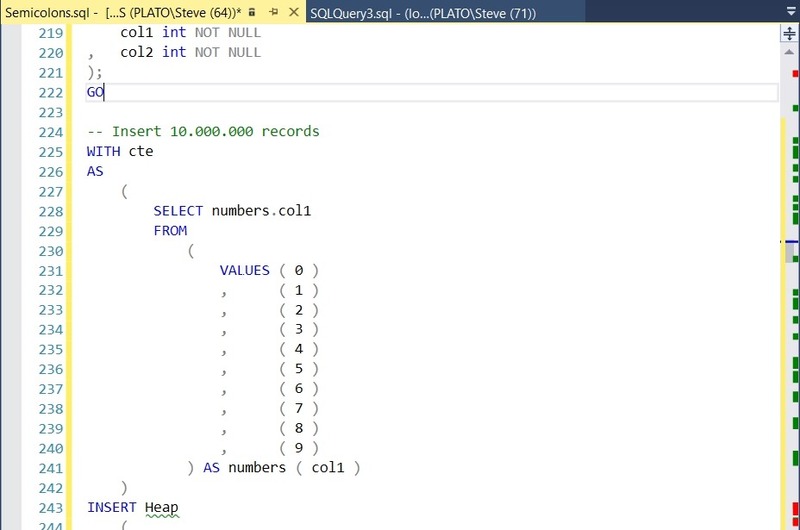 I typically don’t turn on line numbers if SSMS, but while working with someone on a bit of code, they were referencing line numbers in a large script. By default SSMS shows you the line, column, and character at the bottom (as well as insert/overwrite status) in the status bar. See the image below, where my cursor is on line 597. However, it’s visually harder to see lines here if those are the way you’re getting oriented with a script. It’s actually easier to have the line numbers on the left side. 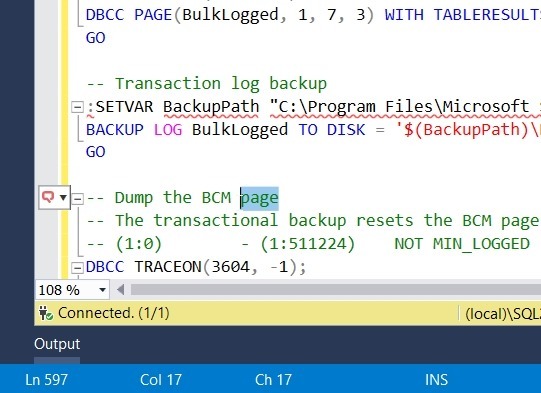 This is easy to turn no in SSMS. First, click the Tools menu and choose options (as shown here). 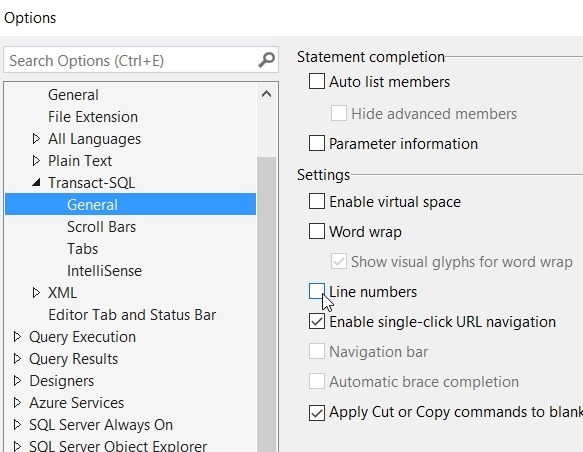 Next, go down to the Text Editor section on the left, expand that and then expand the Transact-SQL area. Click General, and you’ll see a checkbox for Line numbers on the right. Click that. I do find these distracting most of the time, but there are situations where the line numbers are handy, especially when collaborating with others. This entry was posted in Blog and tagged sql server, SSMS, syndicated. Bookmark the permalink. I like line numbers. Just personal preference. 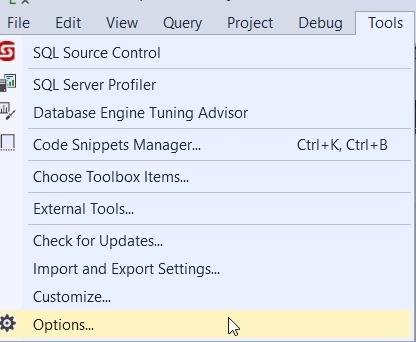 If you want to turn them on for a current session, but not all future sessions, then use the Query -> Query Options… from the top menu.